The JV, Voltbek Home Appliances, aims to take on LG, Samsung as well as home-grown players such as Godrej among others head on with a slew of products that hopes to combine the best of both worlds -- European technology and design, with Indian pricing and delivery. Re-entering a market is never easy. Especially so if you have been absent for 20 years and in that period consumers have been wooed by nimble-footed competition touting the very latest in consumer technology. But if you happen to be from the Tata Group, have a good understanding of the Indian consumer across product categories and enjoy great equity as a value for money brand, then you have a lot going for you. These are the values that Voltas is hoping to exploit as it re-enters the consumer durables market which it had quit almost two decades ago. The company, however, stayed on in the air conditioner space. The company has made a comeback through a 50:50 joint venture with Arcelik, a Turkey-based home appliances company. It would be interesting to see whether Voltas gets second time lucky in a segment that is currently pegged at over Rs 15.5 billion. Pradeep Bakshi, managing director and chief executive officer, Voltas Limited, says, "Our research shows that white goods market is a low-hanging fruit for Voltas which enjoys high brand equity and is a market leader in the AC space with an end market share of 26.7 per cent as of July 2018. "It is the right time for us to extend the brand into other product categories." He adds that the company considered the option of going it alone. After much deliberation, it decided to join hands with Arcelik, Europe's third-largest home appliance company which sells its products in 145 countries worldwide, and was scouting for opportunities in India. Voltbek Home Appliances plans to invest about Rs 10 billion in the next four years to set up its manufacturing factory in Gujarat, ramp up distribution, and develop key marketing and sales capabilities. The company aims to corner 10 per cent market share by 2025. Initially, the company will rely on imports. Arcelik has more than 18 factories across Turkey, Thailand, China, Germany and Russia. Voltbek will start manufacturing direct-cool refrigerators and semi-automatic washing machines by the second quarter of the next financial year. It will follow this up by manufacturing small- and mid-sized frost-free refrigerators and fully-automatic top-load washing machines in the country. The Sanand factory will start off with a manufacturing capacity of 1 million products a year. In the first phase of launch, the JV has rolled out 100 stock keeping units which are fully imported from its facilities abroad. In the run-up to its product launch in India, the company's engineers reached out to consumers and dealers to understand the pulse of the market. The team has integrated feedback from the ground to come up with products that are designed to appeal to Indian consumers. For example, based on market research, the JV offers users a smaller 8-plate dishwasher against the industry standard of 15-plate dishwashers. Commenting on Voltbek's entry into the Indian consumer durable space, Ashita Aggarwal, professor of marketing, SPJIMR, says, "It is a late entrant in a crowded market. "It would be difficult for them to break into the top end and the big product segments like refrigerators and washing machines -- segments that are dominated by highly aggressive players such as LG and Samsung. "The low-hanging fruits for them would be microwaves and small kitchen appliances. "They can look at making these offerings their anchor products to get into the homes of buyers. "After proving the quality of their products, they can hope to encourage consumers to buy big appliances." Without giving out details about Voltbek's pricing strategy, Bakshi maintains that the company will offer value for money products. Experts believe the company does not have too many options on the pricing front. For consumers to shift to Voltebek, the JV will have to either offer highly differentiated products or offer competitive pricing. Aggarwal says, "They carry a baggage. Voltas, coming from the house of Tata, cannot play the premium game. "People associate the Tata Group with quality products at affordable prices. "Voltbek globally is an established brand, but how many Indians know it or have heard about it? "The company will do well to target the mass market." Apart from offering a differentiated product portfolio, the JV is banking upon Voltas' existing distribution network to bolster sales. 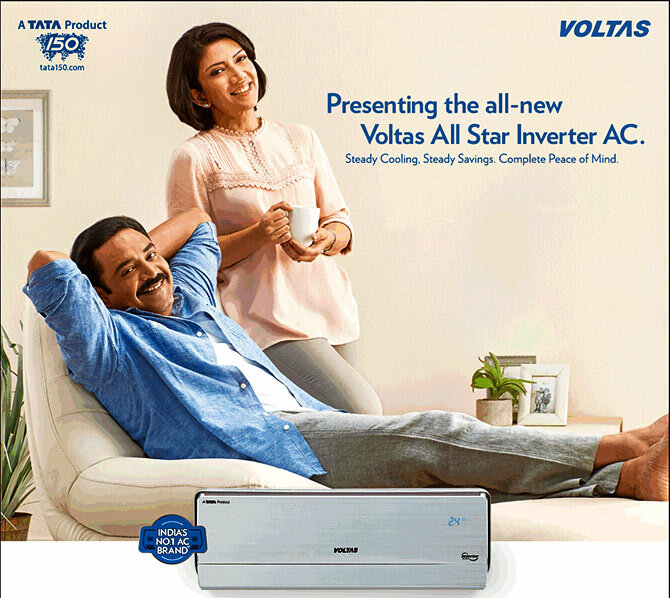 At present, Voltas' products are available in 15,000 outlets across the country. Over the next two years, it plans to increase its presence to 25,000. It also plans to add 500 exclusive brand outlets in the next two years. The company also boasts of 30-odd warehouses and is of the view that its present infrastructure would be sufficient to support more product rollouts. Voltbek has tied-up with Future Supply Chain Solutions, a supply chain and logistics service provider from the Future group, to handle the warehousing and transportation needs for the company.